A prototype of a touchscreen radio for car dashboards, designed to show off the potential of ‘hybrid’ technology, has been unveiled by Radioplayer. The Reference Radio is able to play DAB digital radio, FM and Internet radio. Stations are shown in a single list, regardless of the platform they broadcast on. Car radios in modern vehicles are able to tune to radio stations on multiple platforms, but normally require switching between modes or bands. Logos for radio stations are used to switch between stations. Swiping the display will select the next station from the favourites list. The radio will select the best way to receive the station. If a DAB/DAB+ signal is not available the radio can stream the station instead. The new technology has been demonstrated at an industry event in Berlin, for an audience of radio professionals and representatives from car companies. The interface was shown fully working on a 7-inch Android tablet, as this is the size that’s often found in modern cars. Safety has been “a key factor in the design” with the interface designed to reduce driver distraction. The display shows the driver what’s playing. In a future phase of development voice control will be tested, along with podcasts and personalisation. Steering wheel control is also available. Radioplayer has recently looked at the role voice control could play with car audio. 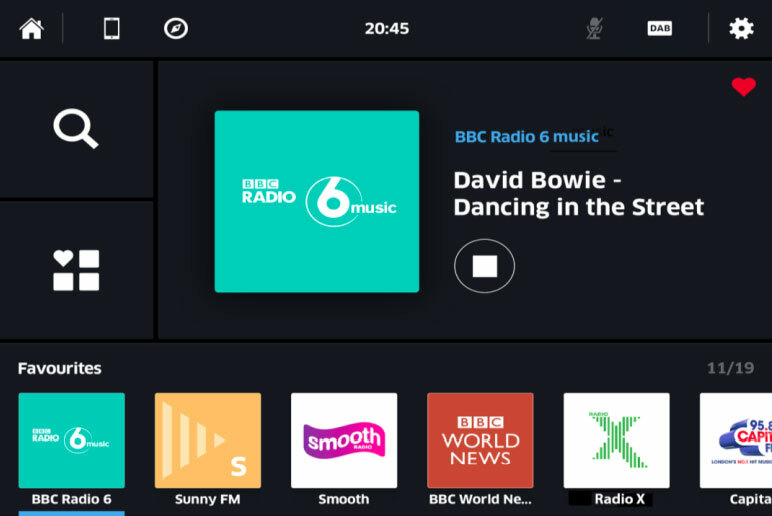 In 2017 the organisation launched Radioplayer Car, a device and smartphone app which switched between DAB, FM and Internet streams. Radioplayer says the prototype is a result of years of research and development with partners like Digital Radio UK and Audi. The new Audi A8 is the first car to include a hybrid FM, DAB and Internet streaming radio.